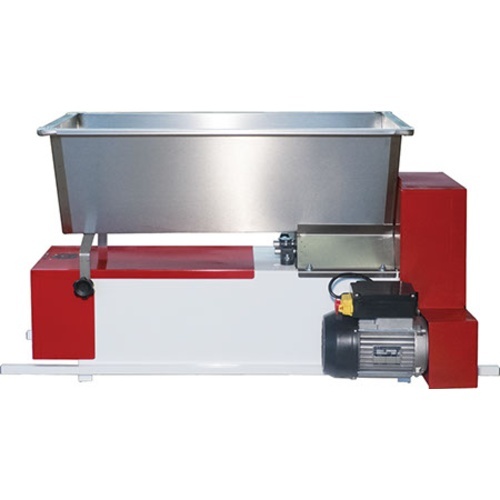 Partially Stainless Motorized Crusher Destemmer with spring loaded, adjustable rubber rollers. Rubber rollers are preferred for a gentler crush. Rollers are spring loaded to allow/protect for the passing of hard item like a rock. 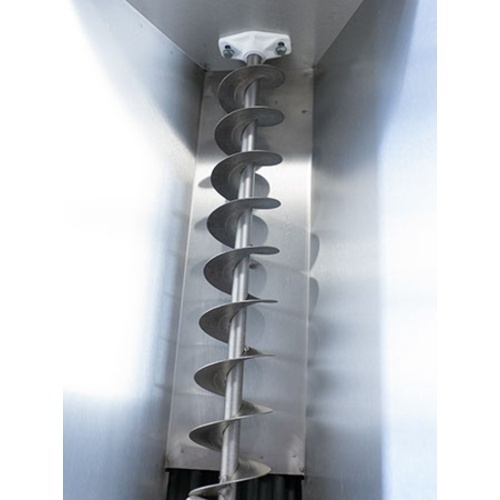 They do offer a degree of adjustabiliy, however no hobby model crusher destemmer will allow rollers to be separated far enough to not crush the grapes. 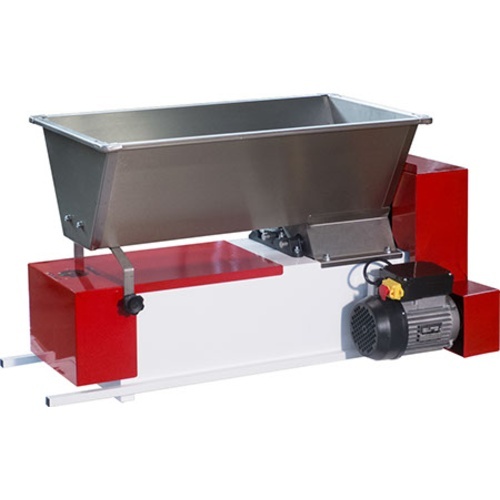 These types of crusher destemmers must be fed grapes in a systematic way. Overloading the hopper will bog down the machine. 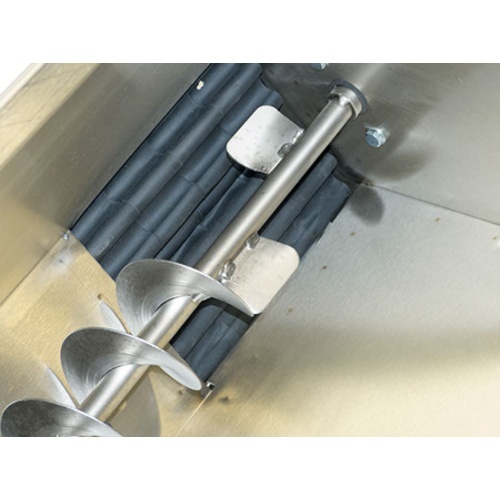 Internal sainless grate slides out for easy cleaning. 1) 304-Type Stainless Steel Receiving Bin, Screw Feed, and Destemming Basket. Enamel body.